Here is another quick hack that I wrote a while ago. 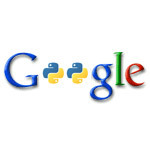 It complements the xgoogle library that I published in my previous post with an API for Google Sponsored Links search. Let me quickly explain why this library is useful, and what the Google Sponsored Links are. For a typical search, Google shows regular web search results on the left side of the page, and "Sponsored Links" in a column on the right side. "Sponsored" means the results are pulled from Googe's advertising network (Adwords). 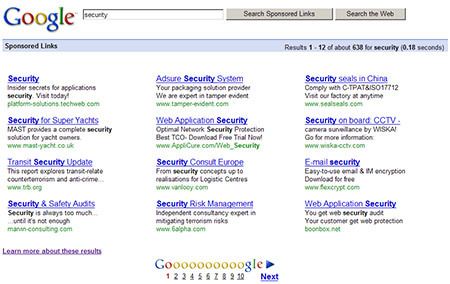 Google Sponsored Links results for search term "security" are in red. Okay, now why would I need a library to search the Sponsored results? Suppose that I am an advertiser on Adwords, and I buy some software related keywords like "video software". It is in my interests to know my competitors, their advertisement text, what are they up to, the new players in this niche, and their websites. Without my library it would be practically impossible to keep track of all the competitors. There can literally be hundreds of changes per day. However, with my library it's now piece of cake to keep track of all the dynamics. 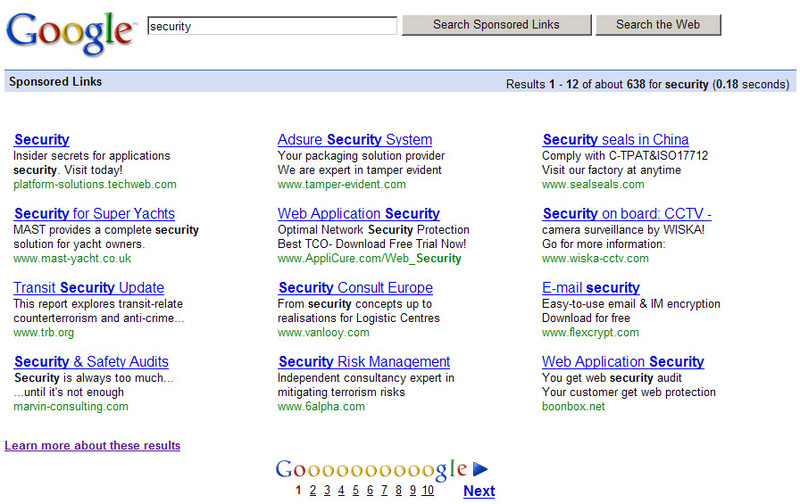 Sponsored links results for "security". The library just grabs page after page, calls BeautifulSoup, and extracts the search result elements. Elementary. Now, the source file that contains the implementation of this library is "xgoogle/sponsoredlinks.py". To use it, do the usual import "from xgoogle.sponsoredlinks import SponsoredLinks, SLError". SponsoredLinks is the class that provides the API and SLError is exception class that gets thrown in case of errors, so it's a good idea to import both. method get_results() - gets a page of results, returning a list of SponsoredLink objects. It returns an empty list if there are no more results. property num_results - returns number of search results found. property results_per_page - sets/gets the number of results to get per page (max 100). The picture does not show the "display_url" attribute as it's the actual link the result links to (href of blue link in the pic). Time saving software for video. Work faster in Photoshop. That's about it for this time. Use it to find your competitors and outsmart them! Next time I am going to expand the library for Google Sets search. See you then!